If you've been curious about which class might be the right fit, this post is for you. I asked our teachers to describe their vibe in a sentence or two. 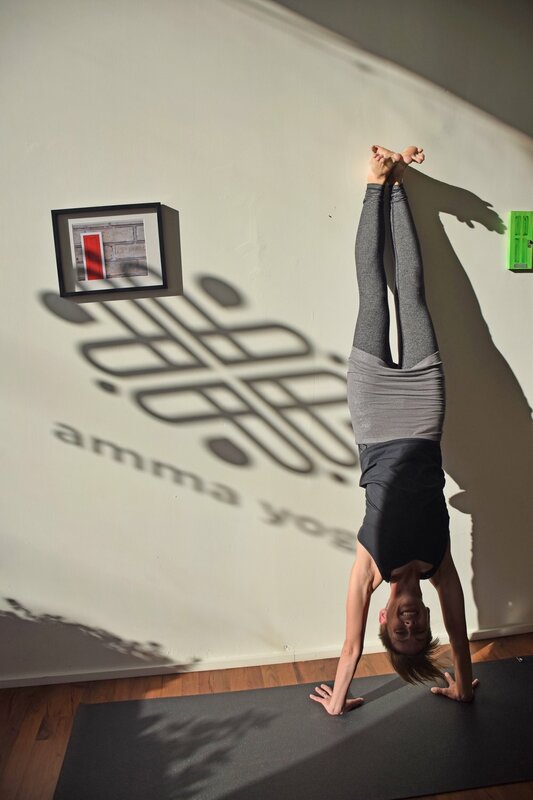 Have a glimpse through a week at amma, and see which class is calling to you. 9:30 YOGA (Jyoti): Set the tone for the rest of your week. Move and feel your way through your practice. I love to give space for students to explore their own movements. 11:00 MOM & BABY (Thea): It feels good to move, and is reassuring to be with other moms & babes in a supportive space. 6:00 PRENATAL (Karla): A warm and supportive class where expectant mamas can empower themselves through movement and tap into the power and transformation that pregnancy brings while finding a space for deep relaxation and connection with baby. 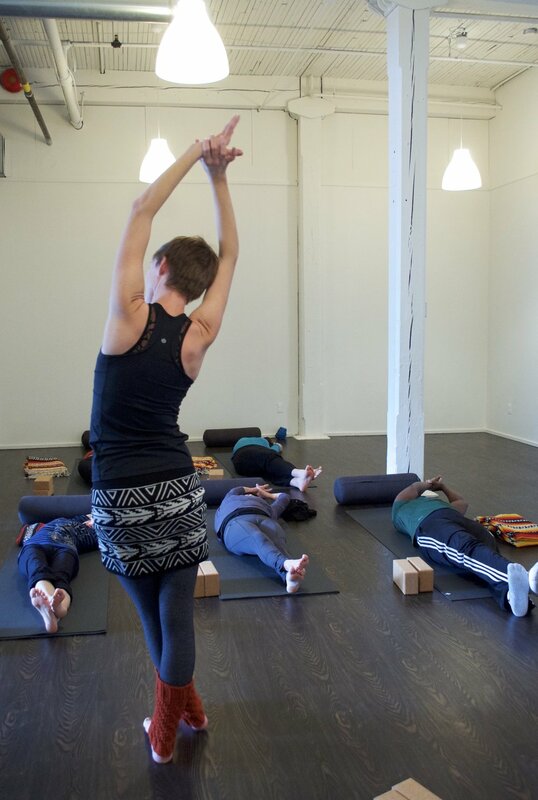 7:30 YOGA (Thea): This upbeat, playful class flirts with the boundary between nurturing & challenging. 10:00 MOMS & MOVERS (Megan): A feel-good practice for parents, while the babies get into mischief. Not the most zen yoga experience, but so much fun. 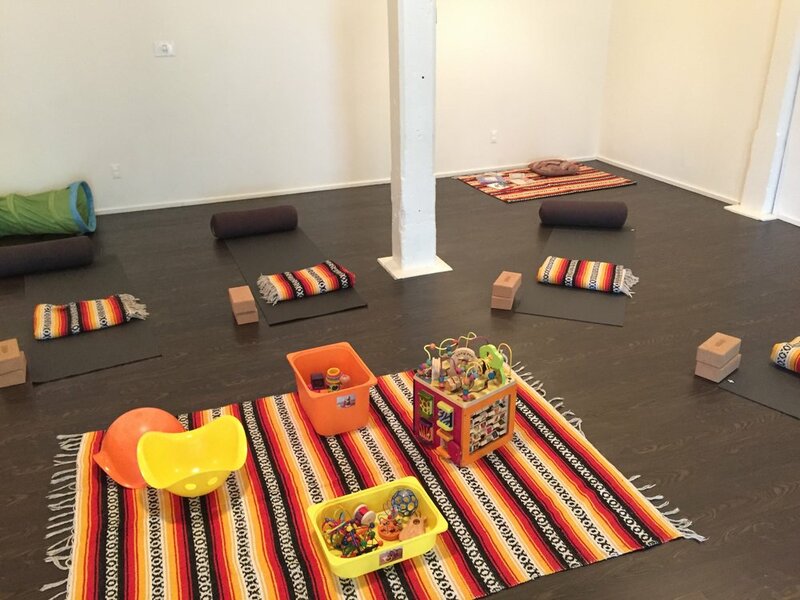 4:30 KIDS YOGA 4-7yr (Jackie): Laugh and play in a yoga adventure designed for kids! Through games and practicing yoga poses, we’ll learn body awareness, patience, coordination and creativity. 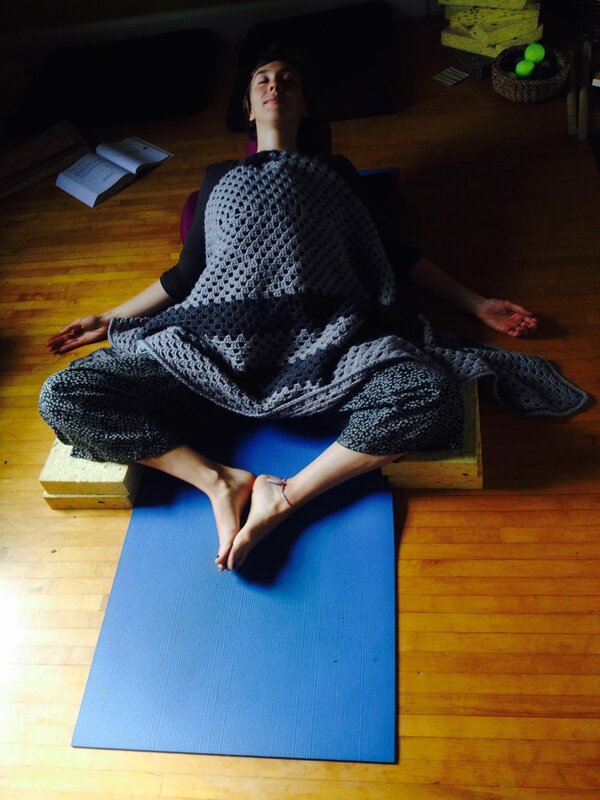 6:00 YOGA (Jackie): This open-level class is tailored to meet the needs of the students. Regardless of what you’re working on, we’ll keep this class interesting and relevant to your practice. 7:30 PRENATAL (Jackie): Connect with your body and your baby in prenatal yoga. Stretch, strengthen, and cultivate breath awareness in a way that will help you prepare for your birth experience. 8:45 YOGA (Julie): Send the kids to bed and get to your mat for some playful active practice and followed by some serious chill time on Tuesday nights! 10:00 MOM & BABY (Carin): Mom and baby yoga is a dedicated hour where you can be present with your little one in a soothing space, move your body, and feel good. This class focuses on discovering optimal ranges of movement and increasing muscle strength and joint stability. We also incorporate the babies in inventive ways! 12:00 YOGA (Carin): Build strength and stamina, increase your movement intelligence, and most importantly - have fun while you do it. This class will have you celebrating the middle of the week. 4:30 KIDS YOGA 8-11yr (Julie): Life is changing, learn how to go with the flow. This practice combines a physical practice, a mindfulness practice and some general horseplay to help these kids prepare for all of the changes coming their way. 6:15 FAMILY YOGA (Julie): 45 minutes of time well spent! Join your children in learning a little about slowing down and focusing on your breath and a lot about goofing off and moving your bodies. 7:30 GENTLE PRACTICE (Tiffany): In a world that so often asks us to do or be more, Gentle Practice offers a space to soften, to breathe and to slowly explore your many sensations; A chance to listen to, and to be kind to, your body as you move through a variety of movements and supported postures. 11:00 MOMS & MOVERS (Jyoti): We practice together while our little ones play. Each class is an adventure and though there are many interruptions we all get to flow and carve out some peace. 12:30 YOGA (Jyoti): Flow in your own way, with options to Vinyasa or find stillness. Always room for therapeutic adaptations or more athletic practices. 2:00 MOM & BABY (Karla): A fun and easy going class catered to the new mama with a variety of relaxation and strengthening poses to leave you feeling calm, energized and connected to yourself and your baby. 6:00 PRENATAL (Thea): Stretch the achy places and get strong for the work ahead! Build trust in your physical instincts, learn to use your breath and draw reassurance from other women who are on this journey. 7:30 RESTORATIVE (Tiffany): A chance to rest. To be held. To let your body let go. Follow your breath, or sensations that you notice in your body, in a variety of supported postures - or use the space to just be. 10:30 TOTS YOGA (Thea): Get silly with your little one! Through play and adventure, we learn yoga poses & breathing techniques. 12:00 YOGA (Thea): A fun flow class that starts out chill, builds to something stronger, and winds it down at the end. Re-start your day on your own terms and feel great all afternoon. 5:30 FRIDAY FLOW (Megan): A fun, high energy flow with a few challenging poses and a playlist that is sure to have you dancing through your poses. 10:00 YOGA (Julie): Get your blood pumping and your body moving to prepare you for your Saturday adventures. Enjoy an active practice to energize you for the weekend ahead. 11:30 PRENATAL (Thea): Connect with your breath, make some space, get stronger, stand taller, feel calmer. This hour is about taking care of you. 10:30 FAMILY YOGA (Christine): After the busyness of the week, Sunday morning Family Yoga is an ideal way to play, be active, and reconnect with your child. Act out an adventure, make your way through movement games, and explore partner poses together. End class with guided breathing and rest to help calm little bodies and minds. 1:00 YOGA (Christine): Sunday afternoon yoga offers an opportunity to cap your weekend with active self-care. Enjoy a slow and mindful practice that helps build strength and body awareness. Learn how your tendencies and postural habits can affect how you feel, and re-set yourself for the week ahead. 7:30 FLOW & SLOW (Julie): Why not have it all, enjoy a moderately active practice to get your body moving and then slow it down with some gentle restorative relaxation to help you take on the week ahead. So what sounds like exactly what you need? Sign up for your next class here while you're thinking about it, because time never magically appears. We have to seize it.